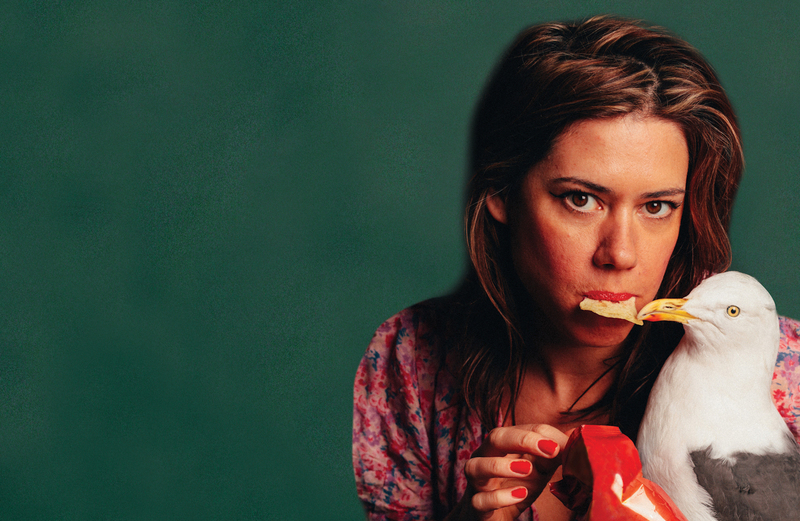 Onion Talking: Lou Sanders on What’s That Lady Doing? The Edinburgh Festival is almost upon us, and as a whole host of TVO favourites put the finishing touches on their latest hours, we’ve grabbed the ones who’ll stay still long enough for a quick chat. 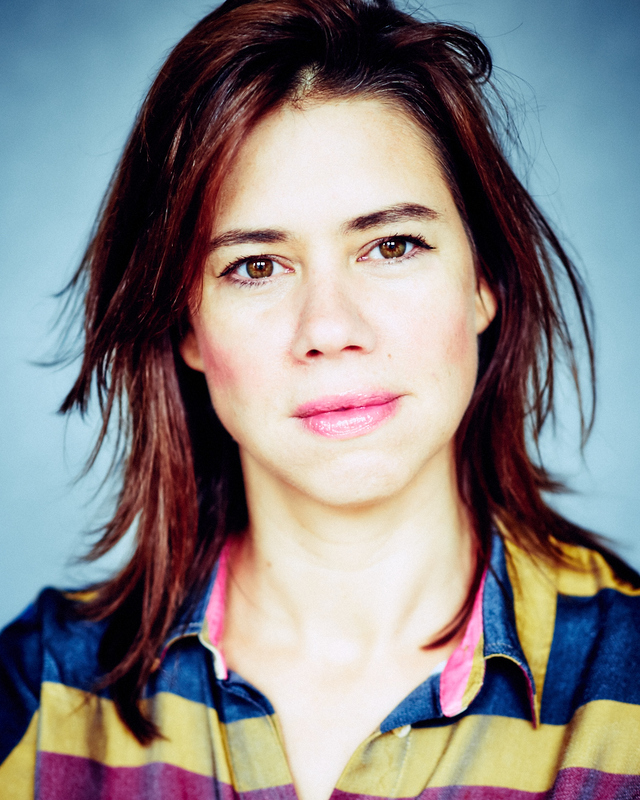 Lou Sanders is a stand-up extraordinaire who has been wowing audiences over the last few years, and frequently collaborates with some of our favourite people for good measure. 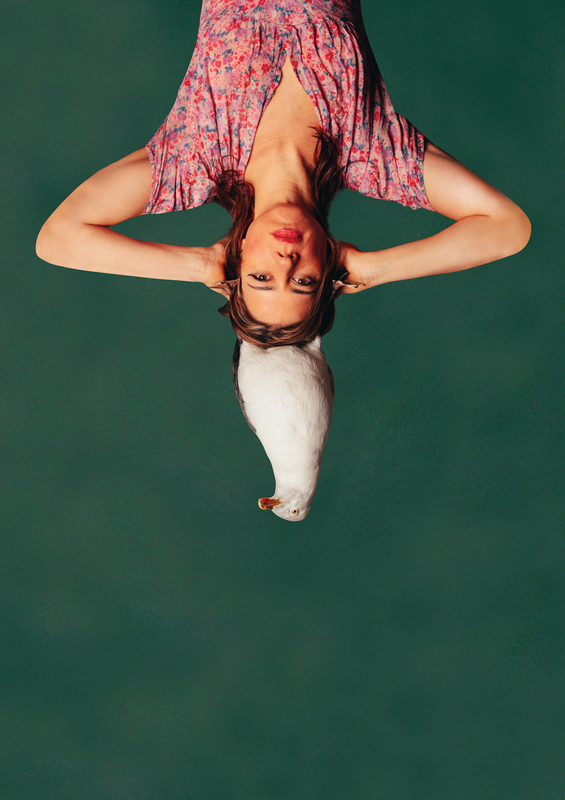 Most recently seen on our TV screens alongside Katherine Parkinson and Richard Ayoade on Alan Davies As Yet Untitled, this year she’s taking on the Edinburgh Fringe for the fifth year running with her new show What’s That Lady Doing? Hello, Lou, thanks for catching up with us. First off, then. What is That Lady Doing? It’s a brand new show for you. How would you sum it up? A brand new show with a brand new vibe and all the while having a nice time. I’m not sure it’s about anything exactly – but it’s got seagulls and dragons in – kind of. I’ve just realised that my show is in part about a radio hosting which went wrong, and an Ofcom complaint. Which is funny, as I did used to work at of Ofcom. We learn something new every day. But Ofcom can wait for another time… This is your fifth year in Edinburgh. And this year you have a bigger venue, too. Do you feel like a veteran yet? Yes a war veteran. Nah I feel like a mug for going back. Not true. I love it. Have you got any survival tips for Fringe newbies and seasoned pros alike? Get down the beach mate. Also don’t cut or bite people. You seem to be constantly gigging. At what point this year did you start piecing the new show together? Hard to say really because it is constantly changing here and there, and is it ever ready, Paul? I will say I think it’s at its very best right after the festival. Always the way, eh? Now in the last few years your reputation has been growing, and you’re even appearing on our tellyboxes nowadays. Does it feel like you’ve made it or is there still a long way to go? Listen, let’s just say when I was finally cast in the Kwikfit adverts, I toot-tooted my horn and said yes, yes Loulie has arrived – and it feels great! 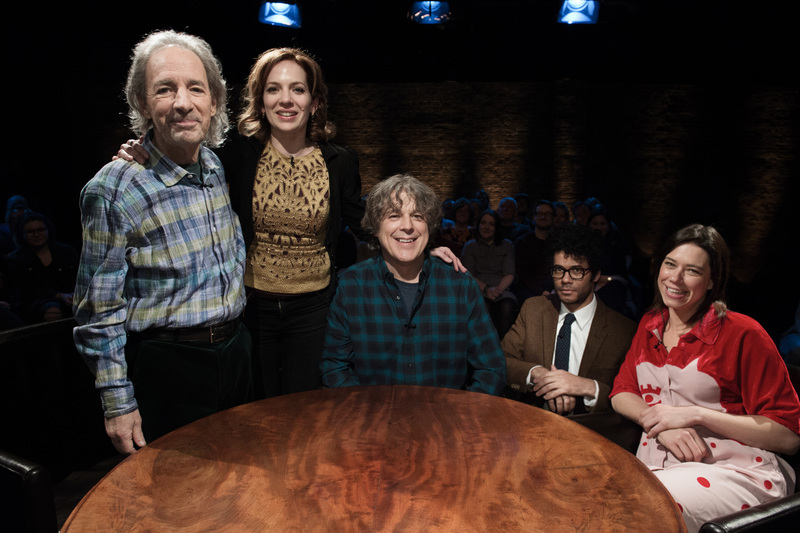 We recently saw you on As Yet Untitled alongside fellow TVOers Katherine Parkinson and Richard Ayoade, plus the legendary Harry Shearer. What was that like to film? They were so nice and kind to this ole gal. It was just a nice chat (in front of an audience). And let’s face it, everything is better with an audience! Plus there woz 4 kinds of fruit in the dressing room. So I knew it would be a nice day. We adopted you into our family a few years ago for a few reasons. One: we kept seeing your name everywhere in connection with ‘Our Lot’, which is usually how it works. Two: we saw you live and you were bloody hilarious, which is also how it usually works. Do you feel part of the Onion family? Or being even vaguely serious for a moment… part of a ‘movement’ within comedy? It warms my nice lil red beating heart when people are nice and champion each other. I mean life is all about connections right? It sounds cheesy but it’s true – its all anyone really ever wants but we think we want other stuff – but if you boil it down everyone just wanna connect and belong. Of course, you’re not content with one show at the Fringe. You’re technically doing two… So what can you tell us about the Liars’ Club? Liars’ Club is an impro night I run in London with Vanessa Hammick – we are in nice little twosome called ‘Hello’. I’m real exited about doing the show every day in Edinburgh and not having to prepare diddlysquat for it. We’ve got the best guests booked too; Sam Simmons, Austentatious [feat Cariad Lloyd – Ed. ], Steen and so many other legends. Are you hoping to catch anyone else’s shows whilst you’re at the Fringe? Hell yeah – all the ones I can. I wanna see more theatre and stuff this year too – I say that every year but it’s true so true. Comedy wise I wanna see: Patrick Turpin, Lazy Susan, Matt Ewins, Luke Mcqueen, David Elms, Daphne, Fin Taylor, Sarah Kendall, Twins and so many more – I put different names on different interviews as I never remember all the shows I wanna see. Picture the scene. It’s Edinburgh Fringe. You bump into someone who is vaguely aware of who you are in the street. They say they were thinking about seeing your show but are not sure they can squeeze you in. How do you persuade them? You don’t – let them be free, Paul – let them run free. It’s like forcing someone to come to your birthday – you’re never going to feel good about having them there. Naturally, we’re coming to see you. So the all important question: What’s your tipple? Water, bebe! God’s tonic. Don’t worry, I am still a lot of fun. Actually if you have to tell people you’re fun: ‘Hi – I’m actually very fun”, are you fun? Finally then, on the subject of tipples. The age old TVO favourite. If you were a pub, what would you be called and what kind of pub would you be? I’d be a darts playing pub for singles only. And I’d be called ‘Darts and Hearts’. Lou Sanders: What’s That Lady Doing? is at Pleasance Dome at 20:10 between August 3rd-16th and 18th-28th. Tickets are available now. The Liars’ Club is a free, non-ticketed show every day (except August 17th) at 15:45 at 48 Below. For more info, go over there.